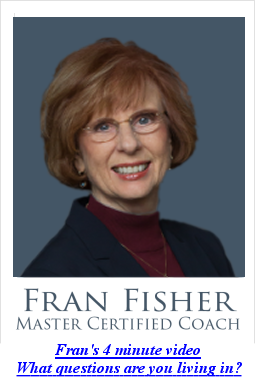 Described as “inspiring,” “authentic,” and “empowering,” Fran Fisher has captivated audiences around the globe with her insight and engaging style. From Istanbul to Shanghai, Fran has inspired her audiences to live true to their essence and create a personal vision for the future. 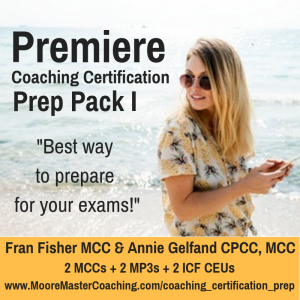 As a Master Certified Coach, author and speaker, Fran is recognized internationally as a pioneer and passionate champion of the coaching profession. Fran’s mission is to transform the way we live our lives – from just getting by to living a life filled with passion and purpose. 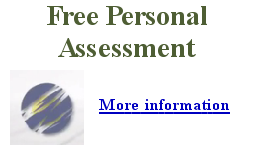 Her commitment to learning, growth and transformation informs her interactive speaking style. Audiences are invited to engage in meaningful conversations that inspire vision, possibility for change, and effective action. She is the author of “Living True to Your Essence”, from the book, No Winner Ever Got There Without a Coach, published in 2012. Are you experiencing the level of success and fulfillment you truly desire in your life or work? Fran is a life-long entrepreneur and former business owner. She shares candidly and generously from her personal experience, revealing her own mistakes in business and how she leveraged her learning into pure gold. Fran has coached hundreds of small business owners. Mistakes are for Learning is a rich and inspiring cornucopia of her personal and client stories of failure, heartbreak, and breakdown, as well as breakthrough, learning, and victory. These are suitable for customizing for your annual luncheon, conference keynote, brown-bag programs, half-day or full-day interactive workshops, etc. Together, let’s use our imagination and create the ideal event for you and your organization.